GS-LSAMP, or the Garden State chapter of the Louis Stokes Alliance for Minority Participation, is an organization that attempts to increase the participation of underrepresented minorities and women in the fields of science and mathematics. The organization helps fund student research and independent study for credit, as well as connect students with scholarships and internships. William Paterson University has a chapter of the organization active on campus. Seven students presented their research progress and findings at the GS-LSAMP meeting Thurs, Jan. 31 in Science Hall East. Pizza and cookies were provided for all attendees. Fifty students and faculty were present. Many science-based clubs participate with the GS-LSAMP program, including Biology and Biotechnology Club, Future Healthcare Professionals, Chemistry Club, and Minority Association of Pre-Medical Students. The presidents of each club all highlighted future events they had planned. “William Paterson wants to fund research opportunities,” said Dr. Danielle Desroches, the GS-LSAMP Coordinator. Many students who presented their research have benefited greatly from the GS-LSAMP program at WPU. “GS-LSAMP helped me start interning, allowed me to gain contacts and helped me have an idea of what I would be doing in the future,” presenter Ashanae Gordon said. Gordon collected spider samples last summer to study spider biodiversity at High Mountain Reserve under the supervision of WPU Professor Dr. Joseph Spagna. Her data provides a better picture of how many spider species are prevalent in the area. “It has expanded me professionally,” presenter Allison Neumann said. Clarke and Neumann did their research on the Megalodon, an extinct species which was the largest shark known to man. The two students ran isotope thermometry tests on fossilized shark teeth to collect data that sheds more light on what may have caused the Megalodon’s extinction, whether the species was warm-blooded, and what the shark’s diet was. Their research was done under the supervision of professors Dr. Martin Becker and Dr. Michael Griffiths. 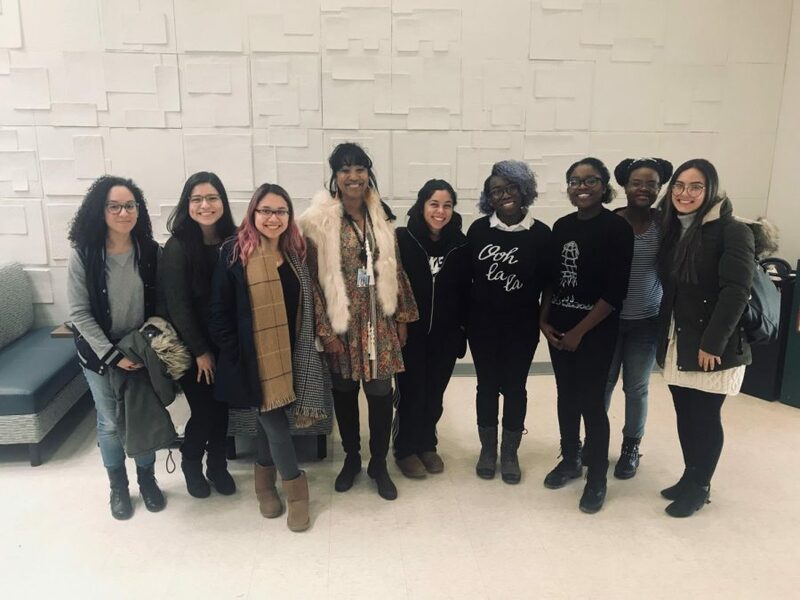 “You meet new friends, you get good connections, and you get a good letter of recommendation,” presenter Jennifer Louis said. Angarita and Louis did research on White Nose Syndrome in bats, which causes the bats to wake early from hibernation and, oftentimes, die as a result. The syndrome is caused by a fungus that grows at a low temperature and spreads in the winter. Their research was done under the supervision of professor Dr. Kendall Martin. Terrance Hopkins, who was previously featured in The Beacon for his research, presented his data on nanoparticles, and new ways to create nanoparticles with a silicon nucleus. The nanoparticles he researched are used as green catalysts, or molecules that increase the efficiency of a chemical reaction and can be extracted and used again with little to no waste. Hopkins’ research was done under the supervision of Dr. Bhanu Chauhan. Sabrina Galloza also presented her research on honeybee gut microbiome patterns. Her research may give insight to the causes of bee colony collapse, which is of great concern because of its possible negative effects on the ability to grow many food crops.Her research was also done under the supervision of Dr. Kendall Martin. Independent research credit will be awarded for her research as well. It is free to apply to be part of GS-LSAMP. Coordinator Dr. Desroches can be contacted at [email protected] for further information.